Apple has been ordered to pay damages to Samsung in a patent infringement case in the Netherlands. The court ruled Apple did infringe a Samsung patent relating to how mobiles and tablets connect to the internet. The Dutch court didn't specify how much in damages Apple will have to pay, but they will be calculated based on sales of Apple's iPhone and iPad in the Netherlands. "Samsung welcomes the court's ruling, which reaffirmed Apple's free-riding of our technological innovation," Samsung said in a statement emailed to the BBC. "In accordance with the ruling, we will seek adequate compensation for the damages Apple and its products have caused." Samsung had accused Apple of infringing four patents, but the court ruled it only breached one. 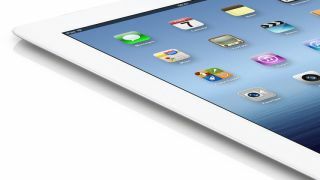 And over in Australia, Apple has been fined A$2.25m (£1.46m) for advertising the next iPad as able to connect to the 4G network operated by Telstra. Telstra's 4G network uses a frequency the iPad isn't compatible with. Apple used the same advertising worldwide. "Apple's desire for global uniformity was given a greater priority than the need to ensure compliance with the Australian consumer law," Judge Mordy Bromberg said. "Conduct of that kind is serious and unacceptable." Apple had already apologised to any Australian customers it misled, and offered refunds for anyone who bought an iPad expecting speeds it couldn't deliver. It also changed its advertising in the UK, changing the description of the "Wi-Fi + 4G" model to "Wi-Fi + Cellular".